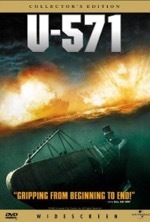 Life imitates art in U-571: just as First Officer Tyler comes into his own, so does Matthew McConaughey as a leading man. The story is rife with leadership lessons, both good and bad, and the pulse-pounding plot makes for a first-rate submarine warfare flick. Though it borrows (quite heavily at times) from Run Silent, Run Deep and Crimson Tide, the movie presents intense battle sequences and really hits the mark with Tyler’s baptism of fire after his field promotion to captain. Featuring great performances from Bill Paxton, Harvey Keitel, David Keith and even Jon Bon Jovi, U-571 is a rousing and patriotic tribute to WWII soldiers.